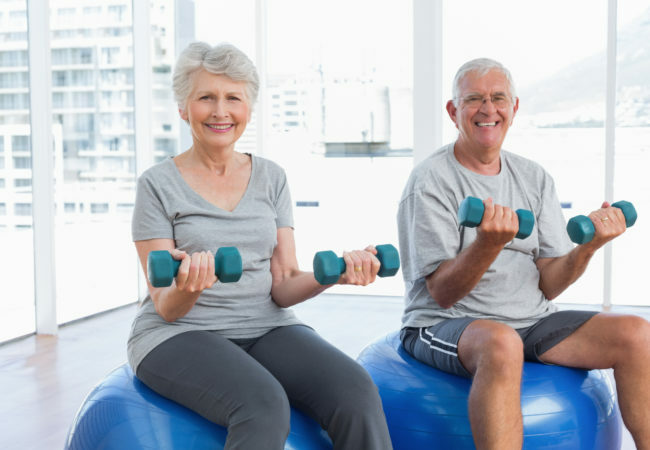 Home Health & Fitness Did You Know Exercise Is Good for Your Eyes — and Your Vision? You know that exercise is good for you — for toning up or slimming down, or for just generally staying healthy and feeling better. You may not know, however, that getting plenty of exercise also may help preserve your vision. A 2016 study makes the case that each of us should do as much as we can to maintain eye health because vision impairment and blindness can seriously affect our quality of life. Researchers expect that, as the population gets older, the number of people who are visually impaired or blind will double by 2050 — and the rates are already on the rise around the world. Regular screening for eye diseases can help combat this problem. 1. Visit your eye doctor regularly. Work with your eye doctor to schedule checkups every year or two and make sure you have the right prescription for your glasses. 2. Make exercise a priority. This is especially important in light of research from the last 10 years that shows exercise is associated with decreased risks for certain eye conditions, as well as offering other surprising benefits. Cataracts. Whether it’s a brisk walk around your block or a run through the park or on a track, a 2013 study found that both activities “may be associated with decreased risk of age-related cataract.” A 2016 study had similar findings, and added that a lack of physical activity may be associated with an increased risk of getting cataracts. Glaucoma. Doctors treat glaucoma by lowering high intraocular (eye) pressure. Research focused on young adults found that moderate intensity, low-impact exercise led to significant reductions in eye pressure. The Glaucoma Research Foundation calls for regular, ongoing exercise, such as walking or jogging, to help reduce eye pressure. Many studies have looked at the impact of exercise on everything from improving your mental health to reducing the risks of diseases, and even cancer. It makes sense to work to stay active and get plenty of exercise for so many reasons, including the benefits associated with eye health and preventing eye disease.